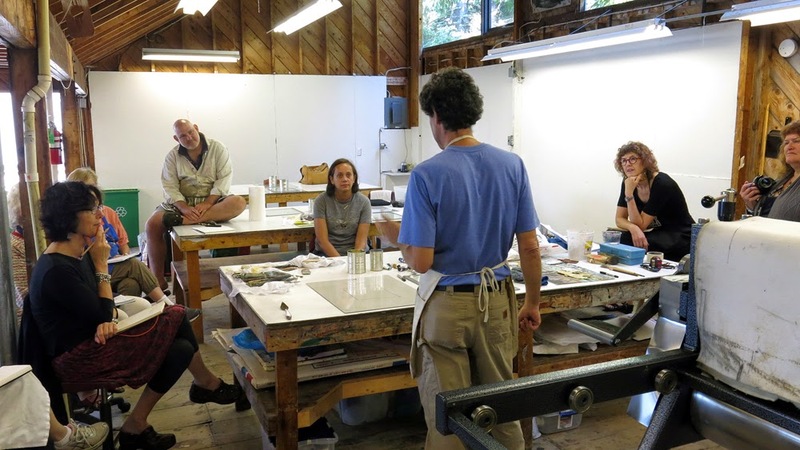 I just finished teaching a two-week printmaking workshop at Haystack Mountain School of Crafts on Deer Isle, Maine. This was my third time teaching there, the first of which was in 1994. Haystack is a very special place for several reasons. It is located on the tip of a granite island on Penobscot Bay and was designed by Edward Larabee Barnes to be integrated into the landscape and have a low impact on the delicate ecosystem. 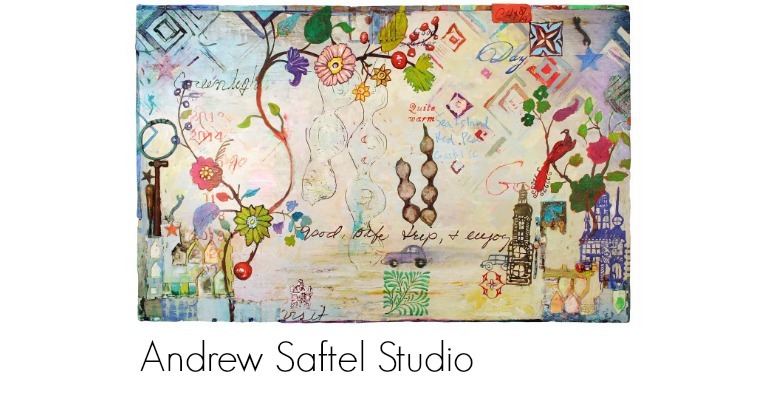 The director, Stuart Kestenbaum, a poet and all-around special human being, is caring, nurturing, funny and very interested in the studios on a daily basis. This is a place where people come to learn techniques in their respective disciplines but almost more importantly to experience time together in a way that day-to-day life does not provide. 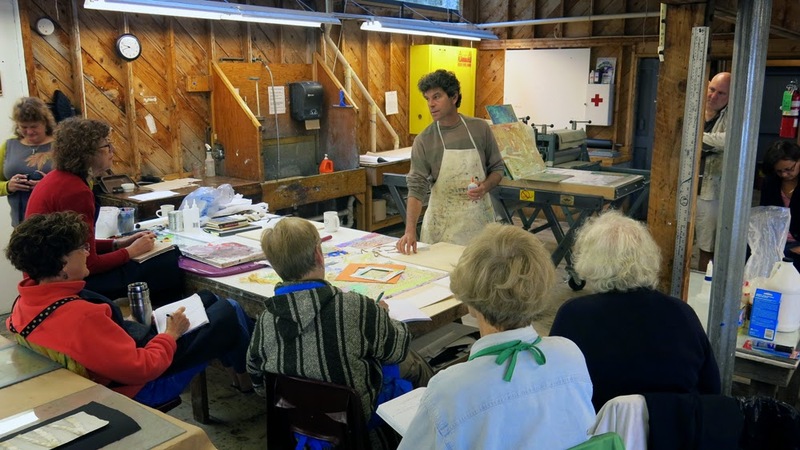 In this workshop I covered several direct, non-technical, painterly ways to make prints. I feel that it is important to show ways for all artists to engage with printmaking in a way that is not restrictive, caustic or limited to age-old techniques and above all, lots of fun. The eleven participants were all open-minded, hard- working, mutually supportive, engaged, excited and all made great work. 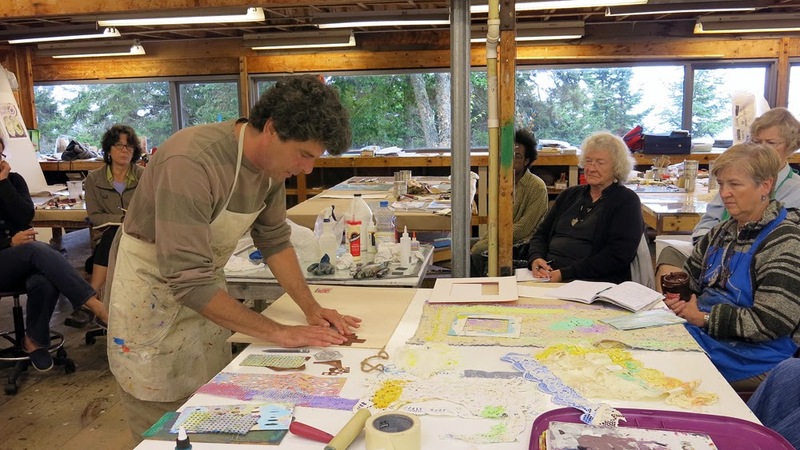 People hit their strides at different times in the workshop but all did extremely well and will take new ideas and approaches to artmaking back to their studios. I have been teaching one or two-week workshops at schools similar to Haystack for many years and feel very strongly that these institutions provide an environment in which people can achieve things they never knew they were capable of on many levels. The world needs these places--and more of them. I saw things happen between people every day that were what we were put on the planet for: kindness, generosity, nurturing, understanding, patience, exploration, risk-taking, sharing, speaking the truth, crying, loving, caring and creating. It is my hope that the 90 or so people that were there take these things back in to their lives and spread them out to others and keep them alive in the world.